De ProFundis -> It is an extended lettery by Oscar Wilde to Lord Alfred Douglas,written during the author's imprisonment in Reading Gaol. Eclogue -> It was Orginally a short poem / section of a longer poem.Later it applied to the pastoral poems of Virgil & to verse dialogues on pastoral themes. Badminton at 97 -> Henry Paynter of Canada,born 1907 was an active member of the Kelowna club & was still playing in 2004,at the age of 97. A family's of VIP's -> Sri lankan President Chandrika Kumaratunga's brother Anura Bandaranaike is the country's Foriegn minister.The Siblings had Prime Minister as their parents.Soloman & Sirimavo Bandaranaike. on the everest -> The oldest women to reach the Everest is Tamae Watanabe of Japan.She was 63yrs old.she took 177 days when she achieved teh feat on may 16 2002. 2 PM's -> Two Formaer Isreali Prime ministers,Menachem Begin & Shimon Peres were born on the same day on August 16. Art of Living -> founded by Sri Sri Ravi Shanker in 1982,holds country's courses all over the world. Chief justice for 1 day -> In 1988,Chief Justice B.P.Jha was sworn in at patna high court.he retired on the same day after 5 hours. Alcoholics -> the American Physiologist E.M.Jellinek who pioneered in the scientific study of Alcoholism. Cuban cosmonut Arnold Tamayo Mendez was first Latin American to be sent into space.He was launched on board Soyuz 38,in 1980. The Hugo Award -> This award is given for the best science fiction is named after Hugo Germsback;the man responsible for the establishment of science fiction as an independent literary form. Solo Climber -> Reinhold Messner of Italy was the first to succesfuly climbed Mount Everest Solo.He reached the summit on Aug.20 1980,without using bottle oxygen. Periyar & Annan -> E.V.Ramaswamy Naicker,known as 'Periyar',founded the Dravida Kazhakgam.C.N.Annadurai known as 'Anna' founded Dravida Munnetra Kazhagam. Agricultue -> Norman Borlaug,the Brain behind the green reveloution,is the world's only agricultural scientist to win a Nobel prize for peace 1970. Prince -> Emperor Hirohito of Japan who died in 1989 was the first crown Prince of the country to travel abroad. Jatindra Nath Das died in Lahor Central Jail in 1929 after a 63-day-hunger-strike protesting the rude behaviour of jail authorities with political parties. Kanchan C.Bhattacharya who in 2004 became India's First Women Director General of Police. First women IPS officer -> Kiran Bedi.she is of 1972 batch. Sarah Bernhardt 1844-1923 the great French theatre actress,had no leg became first women to act in films. 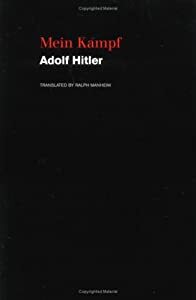 Adolf Hitler wrote a book -> 'Mein Kampf' he wrote this book when he was in prison. Somalia's First Novalist -> Nuruddin Farah. Edward Stanley Gibbons,founder of the Stanley Gibbons house of Stamps,was born in 1840,which is the year the world's first stamp,the Penny Black,was brought out. Mahadik Planet -> The MIT linear laboratory in the US has named the minor planet 1709 after an Indian Student Bhushan Mahadik.It is called 'Mahadik planet'.